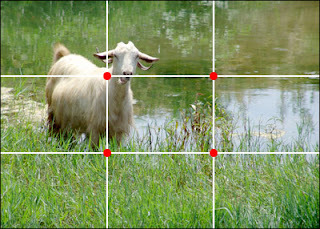 The Rule of thirds is a composition principle that I have been aware of for a long time. I have attempted to use the principle based on my loose understanding of it many times with my own compositions, but feel I have never fully explored and understood the concept. I have decided to take my understanding further with this brief study. As you can see with these images, the backdrop fits the guides, divided in both cases with the ground consuming one third, the sky the other two thirds. The subjects then slightly break out of the grid, hit by the power points. 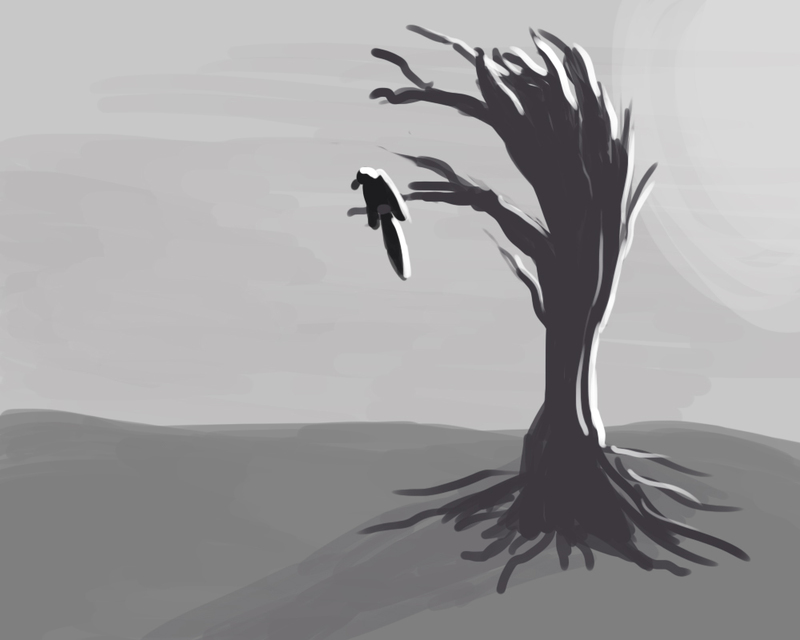 This image isn't immediately as obvious. Perhaps it's because I believe there is a slightly diagonal composition occurring. 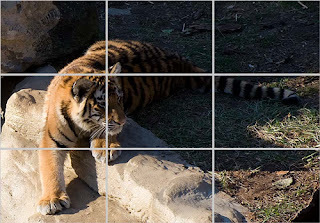 You see with the rock foreground which the tiger rests on, it seems to consume the bottom left corner segment, and then the one segment directly above that, as well as the one segment directly to the right, forming more of an 'L' shaped third. The tiger itself seems to be covered by three power points: The one on its left front paw, The one at the top of its head, and finally the animal stretches across the top guide until its tail is intersected by the final power point. This is most likely the reason that the tiger is so dominant in the image. Also notice the tiger breaks out of the grid and is covered mostly by the guides as oppose to existing inside the segments. This seems to make it pop from the background. With this being my first attempt, I went with more obvious approach. 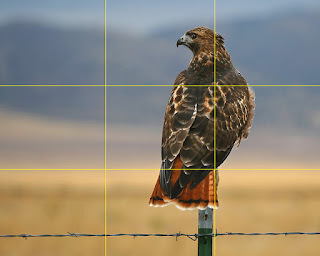 Like the first two examples, The ground in the backdrop sits in the first third, and the sky occupies the other two thirds above, conforming to the grid. As the tree is the focal point, it slightly breaks out of the grid, intersected by two power points. Perhaps the composition could have been improved by positioning the bird resting on the branch to be intersected by a third power point, very much like the tiger image. However, as a first attempt I feel it demonstrates further understanding of the visual principle. I hope that with my improved knowledge of how the rule of thirds can be applied, there will be a noticeable improvement in the composition of my concept art.